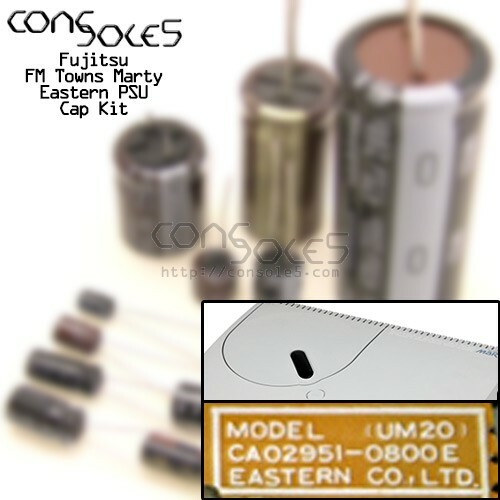 This kit contains all necessary specialized electrolytic capacitors for Eastern power supply units used in the Fujitsu FM Towns Marty console. Note that we may sub 150uF caps in place of the 120uF caps. This value is non-critical.